If there is one thing that I've learned in the whole realm of hair styling, it's that Madeline and curling irons are not compatible. The downside, is that I love having curly hair. I've also been realizing that my hair lasts much longer between washes when it isn't pin straight (naturally). Just recently, I resorted to my vintage set of hair rollers to try and accomplish the curly 'do without burning my hands off. I was so pleasantly surprised with the results that I had to share my routine. 1. 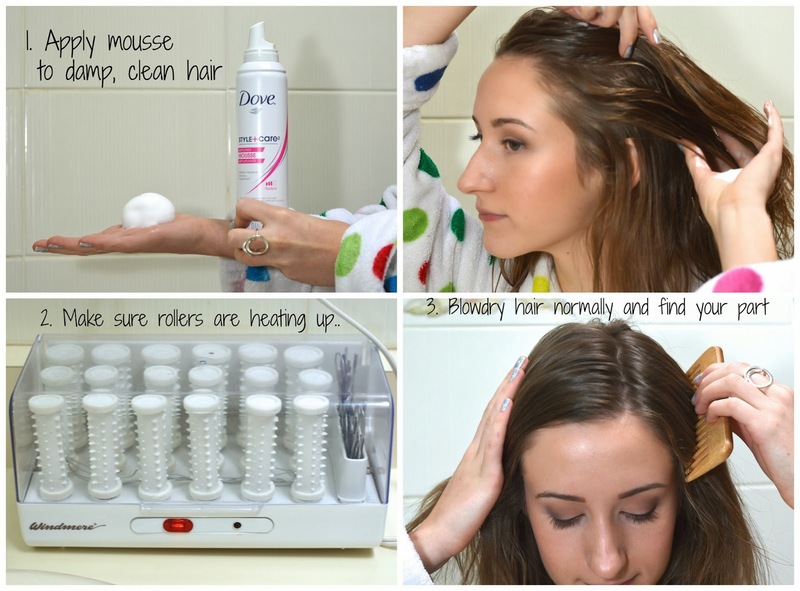 Dove Style + Care Mousse works just as well as it smells. And it smells fabulous. 2. 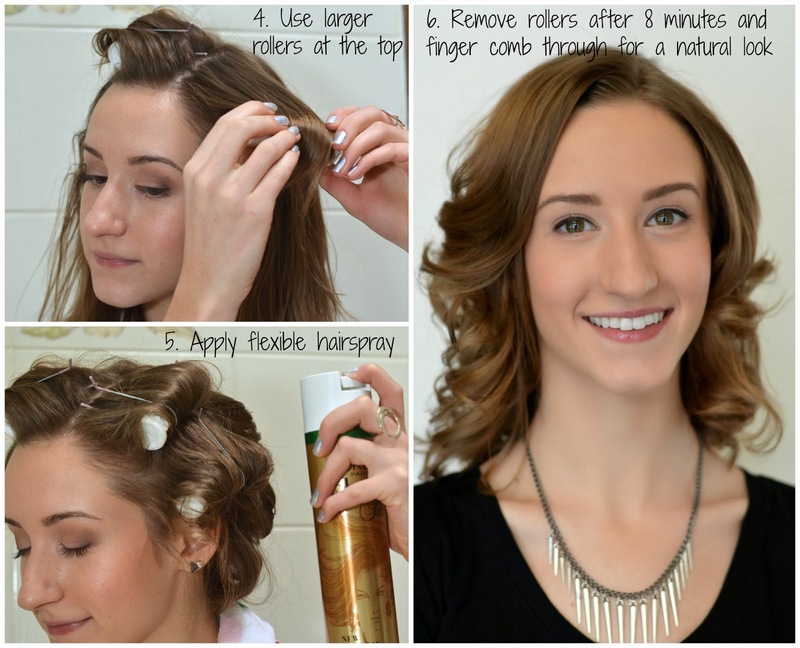 These Conair Rollers would be a nice option if you are planning on trying this method of curling. 3. I used a diffuser on my blow drier for more volume, and my comb is from The Body Shop. 4. Try to roll the hair all the way up to the roots for more volume. Don't pull too tight for a more undone look. I hope this gave you some helpful tips and tricks on how to achieve natural looking curls. With practice, these steps can be accomplished 15 minutes or less. Good luck and keep those fingers burn-free.